The dreamy shoot in Santorini we are sharing today will mesmerize you! 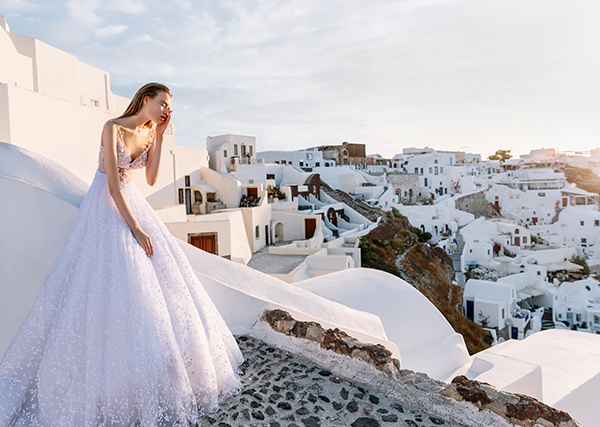 The beautiful setting of Santorini was the perfect location for shooting amazing Costantino wedding dresses from the new collection, Dreamland! Stunning wedding dresses with unique details and in styles and lines that every bride will love! Every wedding dress is unique, and the result is just gorgeous! Enjoy!